Sawyer, becoming a Bar Mitzvah. 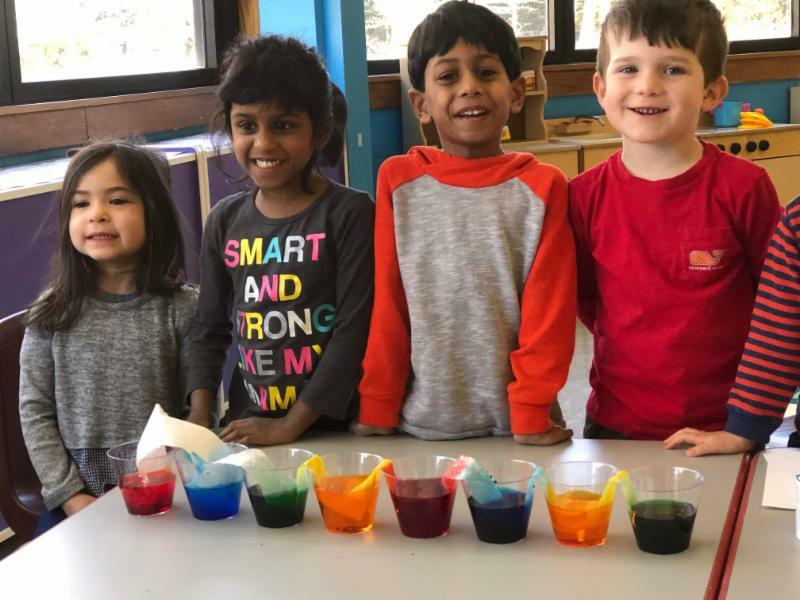 Students at our Teva Kids program, which integrates science and Judaism, learn about colors last Sunday. Click here for more photos from our new spring album, which includes Purim pictures. You can also upload your TBE Purim photos there directly. Mazal tov to Sawyer Price, who becomes Bar Mitzvah this Shabbat morning. 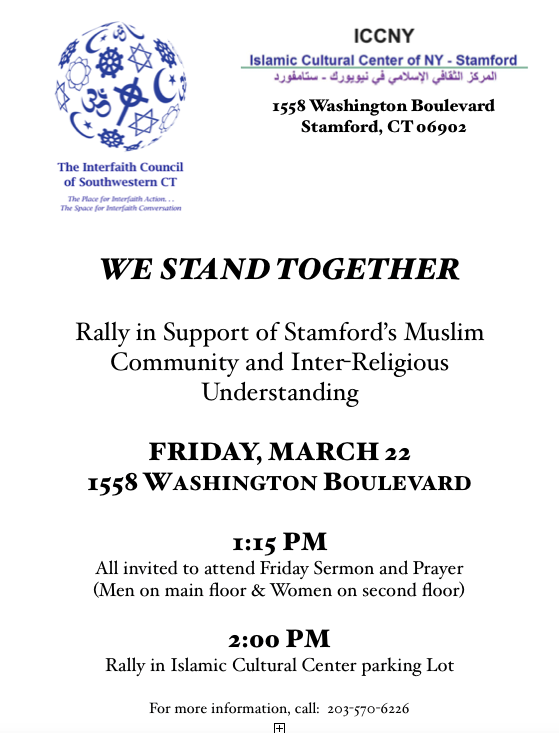 Join us on Friday night as well, as we welcome the first weekend of Spring! See Matthew Goodman's d'var Torah from last Shabbat. Parking at garage of 1558 Washington Blvd. This year's happiness rankings are in! Israel dropped two places on the World Happiness rankings, released this week. See the World Happiness Report. Considering the relative peacefulness of the top tier (though even the most peaceful and remote countries have experienced their share of terrorism and grief - we can now add New Zealand to that list), it's amazing that a perpetually tense place like Israel consistently ranks so high. Factors that are dragging down the US include opioid addiction and social media (perhaps our addiction to social media as well). 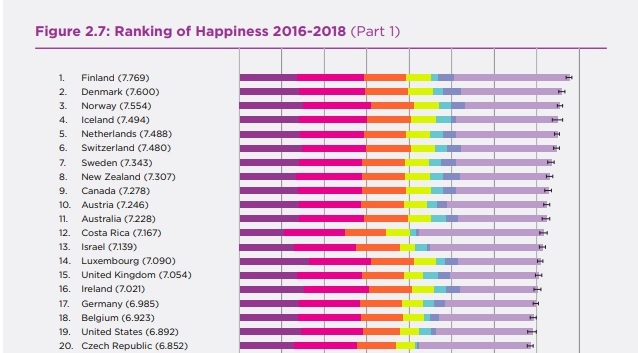 So, still sky high at #13, why are Israelis so damn happy? Purpose, belonging, venting, health, weather, lots of holidays, and an optimistic viewpoint have something to do with it. With a national anthem that means "The Hope" (though it sounds like a funeral dirge) and an unofficial motto ("Yiheye B'seder") that means "Everything will turn out OK," (even when it won't), and now, internationally renowned cuisine and Eurovision to boot. Winter birds brush our faces in farewell. Our step quickens as thaw gains force and marches into inevitability. are seen anew, interpreted afresh. Everyone sees flowers in a different way, Rinah once said. insisting on their leafy say. Hands pool the earth, laying the foundation for renewal. Already we envision stalks bent with bounty. We breathe these many fragrances, humbled, awed. our eyes are always shielded toward the horizon. we assess the pitch of the chatter. Dogwood blossoms etch our prayer in grace. 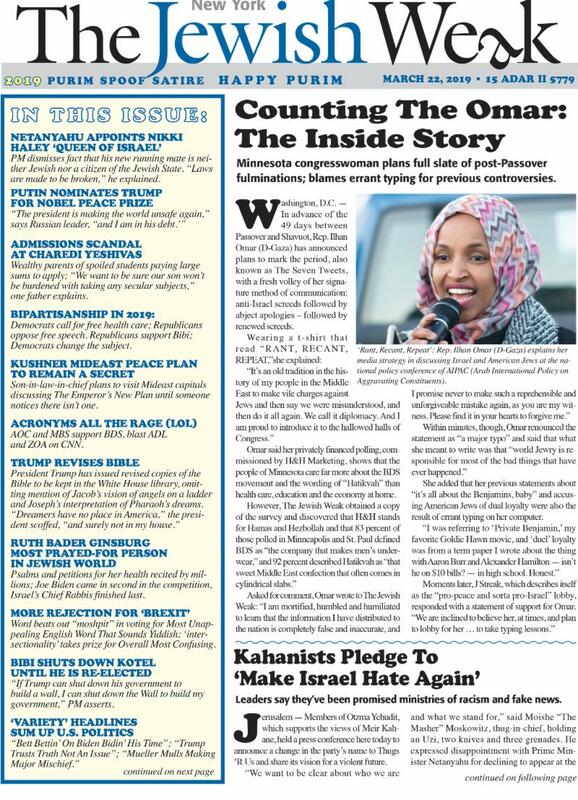 Sarah Tuttle-Singer, a top-notch and unabashedly progressive author and blogger for Times of Israel wrote an opinion piece last week on why progressive Jews should attend the AIPAC Policy Conference, which might be seen as a rebuttal to Thomas Friedman's recent column, Ilhan Omar, AIPAC and Me. Tuttle-Singer sees Friedman's objections to AIPAC as insufficient to warrant boycotting what has become, in effect, the biggest big tent that American Jews have with regard to Israel, even as that tent has suffered considerable wind damage in recent years. From the Right: "How COULD they?" From the Left "How COULD YOU?" They know exactly who they're inviting. They know I choose to be here, and I make that choice every single day. They also know I am outspokenly opposed to the Occupation, and I am passionate about justice and equality and security and freedom for Israelis and Palestinians and refugees and migrants and EVERYONE in The Land. They know that I am sickened and heartbroken that the government of Israel is increasingly racist and not even hiding it anymore. They know that the political misogyny around the Western Wall makes me want to punch a wall. They also know that I am no fig leaf, and that when I have any opportunity to talk about all these things, I will, and I'll make no apologies and pull zero punches. And they also know how much I fiercely love Jerusalem - how I'm committed to building bridges between communities, that more than anything, I am proud to be part of a story where you aren't just living history as it unfolds, you're literally helping create it. And that means showing up. Let's be clear about something: AIPAC is not monolithic. I know folks working there who voted for Trump. I know folks working there who voted for Bernie. I know folks working there who love the prime minister. I know folks working there who voted for Meretz, and even one who wrote in "Hadash." And that's the beauty of it: the Jewish community both in Israel and in America isn't monolithic, either. And it's true that a lot of folks who come to Policy Conference are in the Center and the Center-Right, or even Far-Right, and that's the best part: I have things I want to say. I have things to say about the Israel I love and I have things to say about the Israel I wrestle with, and yes, I want to change things, and while it's nice to celebrate the good and complain about the bad with friends who nod along and agree with everything you say, change begins when you talk to people across the board who may not like what you have to say but are willing to listen. In other words: this is EXACTLY when progressive Jews need to show up. And speak. Israel faces an election in just a couple of weeks that will be as fateful as any Israeli election in a generation, with vast implications for Israeli democracy as well as for American Jewry. This is not the time to back away. Tuttle-Singer is correct in saying that AIPAC is not monolithic, especially once you get away from the cookie-cutter speeches at the plenaries and head to the breakout sessions, or just listen to the conversations in the halls. Yes, AIPAC enabled Bibi's reckless appearance before Congress that has caused tremendous damage to the bipartisan consensus around Israel. But this is also where the leadership issued an apology for the destructive rantings of candidate Donald Trump in 2016, and Trump has not spoken at AIPAC since. As buttoned up as AIPAC tries to be, it nearly always is messier than planned, and that's the Jewish way. Jews like a good mess. We do not do hospital corners very well, on our beds, and in our conferences too. Here's to a messy AIPAC! I'll let you know how it goes. 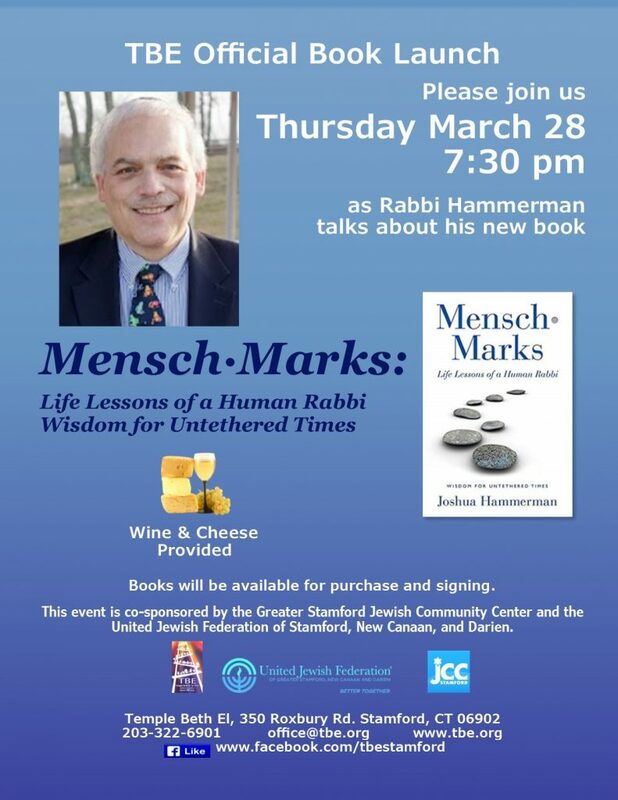 Join us next Thurs., March 28 at 7:30 PM, for the pre-publication celebration of my book. The actual publication date is April 2, but we've moved this up a few days so as not to conflict with our incredible Women's Seder, which will be on the 2nd. If your name is on the list below the flyer, you will have a signed copy of my new book waiting for you next Thursday evening at the book launch, either because you pre-ordered through our office or in recognition of your contribution to last June's concert honoring my 30th anniversary at TBE. Books will also be available for sale at the event and you can always order online through Amazon and I will be happy to sign at any time. So, after you pick up your signed book on the 28th, what happens then? Well, you read it, I hope. 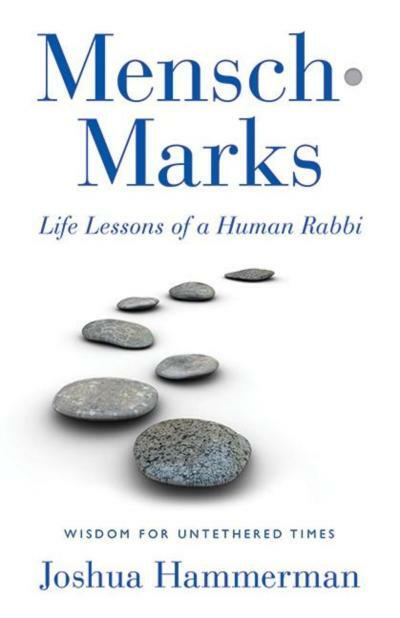 If you like it, you might want to tell your friends to order copies of their own and of course, you can go onto Amazon with a five-star review on April 2. 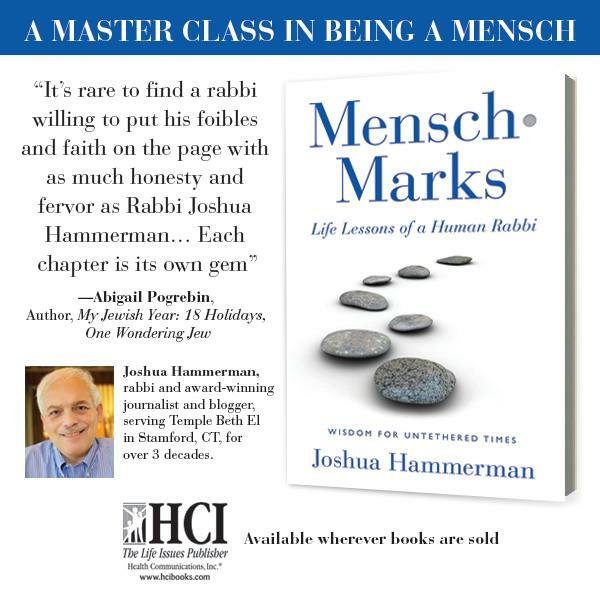 Then, for those who would like to pick up the Mensch-Marks class where we left off a few weeks ago, let me know which chapters you would like to explore further.